Philip Charles MacKenzie is an award winning actor and director. …has directed Dan Ackroyd, Sandra Bullock, Chris Farley, Roseanne Barr, Jim Belushi, John Goodman, Laurie Metcalfe (Emmy Award winner), Estelle Parsons (Oscar winner), Shelley Winters (2 time Oscar winner), Jennifer Coolidge, Mary Steenburgen (Oscar winner), Christine Ebersole (Tony Award winner), David Hyde Pierce (Emmy and Tony Award winner), Kelsey Grammer (Emmy Award winner), Nathan Lane (Tony Award winner), Martin Mull, Kathy Najimi, Luke Perry, Ted Danson (Emmy Award winner), Nancy Travis, Richard Benjamin, Brooke Shields, Harris Yulin, Nestor Carbonell, David Spade, Joely Fisher, Damon Wayans, George Lopez, Amanda Bynes, Demi Lovato, Henry Winkler (Emmy Award winner), Stockard Channing (Emmy Award winner), Jennifer Tilly, Bob Saget and Alison LaPlaca (Philip’s wife). After graduating with an MFA from the Tisch School of the Arts Graduate Acting Program, he worked as an actor in regional theatre, the New York stage and in such films as “Dog Day Afternoon”. Moving to Los Angeles, he appeared in many of the most popular shows on television; “Cheers”, “Family Ties”, “Bosom Buddies”, “Three’s Company”, “Remington Steele”, “Newhart”, “St. Elsewhere” as well as several Movies for Television. He was also a regular cast member in nine pilots and several short-lived series. His big break came when he landed his most important role, that of the flamboyantly gay character Donald Maltby on the groundbreaking and critically acclaimed comedy series “Brothers” for the Showtime Network. For his work he won the Cable Ace Award for Best Actor in a Comedy Series as well as garnering four more acting nominations and a nomination for Best Director. “Brothers” afforded Philip the opportunity to move into the directing world, receiving a Best Director nomination in the process. From there Philip became a full time director in the half-hour genre directing such shows as “According to Jim”, “Roseanne”, “Frasier”, “George Lopez”, “Dharma and Greg”, “Suddenly Susan”, “My Wife and Kids”, “Normal, Ohio”, “Just Shoot Me”, “Ink”, “Living in Captivity”, “Sonny With A Chance” and many others. In 1998 he directed the feature, “Attention Shoppers”. 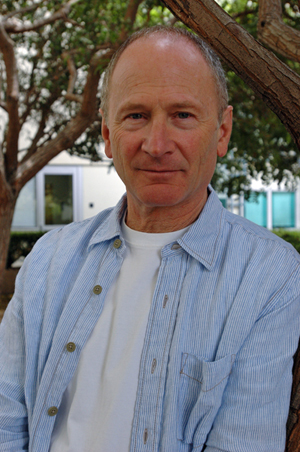 In recent years Philip has also written several screenplays.